Cancer is no laughing matter, but we'd like to give props to City of Hope's Underwear Affair campaign, which draws attention to the unpleasant and often-ignored diseases that develop beneath one's drawers by getting people to drop them -- or at least run around in their undies. 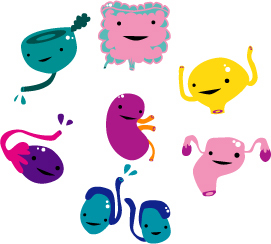 We're not talking STDs, but cancer of the prostate, colon, cervix, kidney, bladder, testicles, ovaries and uterus. Anyway, should you want see lots of skin while supporting research for these forms of cancer, go check out the 10k run tomorrow at the La Brea Tar Pits, 3pm.